International Construction Consultants (ICC) is completely independent and construction management is our only business; it enables us to provide a specialized professional service that will assist clients in identifying solutions and minimizing their risk. To that end we are able to recognize the needs of each client and provide an independent, timely and objective assessment of their projects. This combination of expertise in construction management, cost planning, cost control, value engineering, feasibility studies, cost-benefit analysis, lifecycle costing, cost estimating, project management, owner representation, CPM scheduling, contract administration, claims evaluation, claims avoidance/prevention and claims preparation has given us the capability, know how and credibility to provide our clients with the advice that keeps their projects running effectively. Our comprehensive approach will provide you with the assurance that, as your advocate throughout the pre-planning, design and construction phases, you will have an independent representative who only has your interest throughout the construction process. 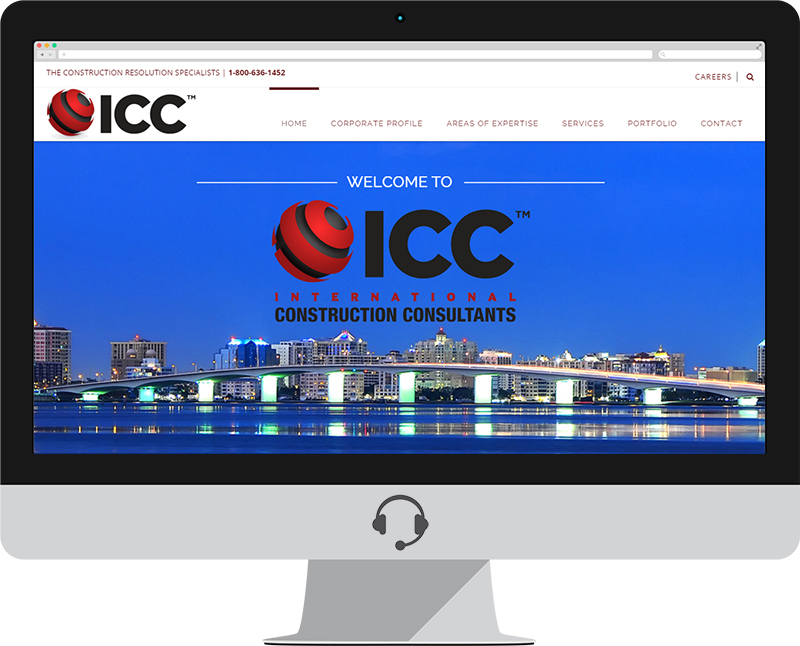 Based in Lakewood Ranch, International Construction Consultants chose Lakewood Ranch Web Designer Social Operator to construct their site.